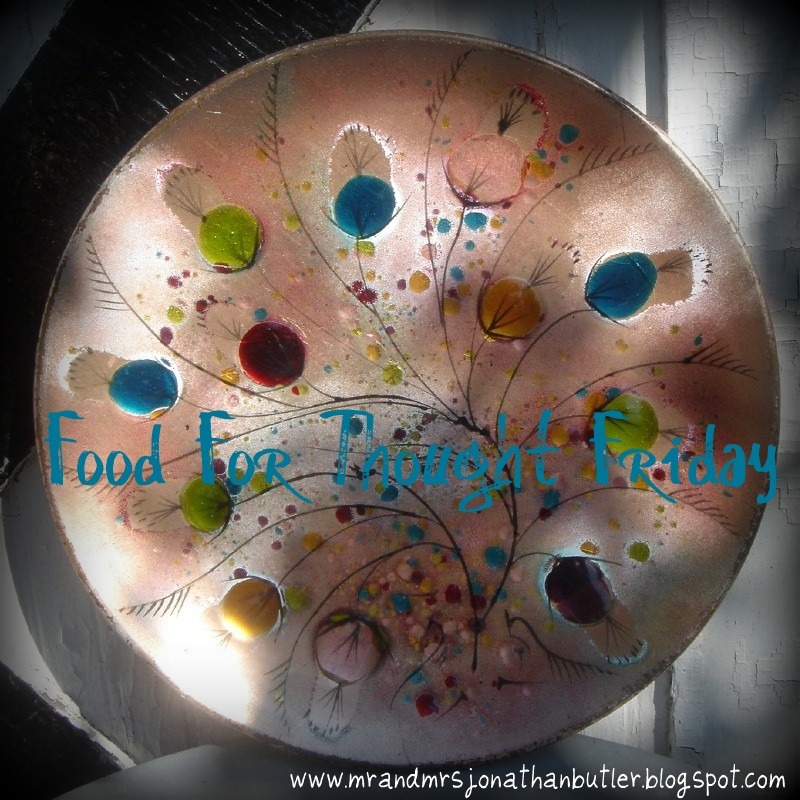 Butler, Party of 4: Food For Thought Friday: Are you a TRUE FRIEND?? Are you a true F-R-I-E-N-D?? At church on Wednesday we listened to a great message preached about the lame man and his faithful & devoted friends that were absolutely committed to getting him to Jesus to be healed. This story out of Mark is a Bible story that most of us are familiar with, and the illustration was used to encourage us to invite friends to church for our upcoming “Friend Day.” It really made me stop and think about the kind of friend I am to others. Am I being the true example and Godly friend that I need to be? If you think about that story, do you love your friends enough to be that devoted to them, without expecting anything in return? I think we sometimes forget that the Bible is our instruction book for life and it covers EVERYTHING; any situation, circumstance, or struggle. Yes, God thought of it all. So, I am a total acronym nerd and came up with this little acronym for the word “friend” with verses to support each thought. Are you being a true FRIEND?? Whew! This is a toughie fo sho! No one likes to be corrected, and personally I’m not a big fan of confrontation. It’s so much easier to let that friend go on doing what he/she is doing, but we are CALLED to gently restore them and help guide them back on the right path. It’s so important to remember to always respond in love when you’re doing any “restoration” with your friends. On the flip side, it's important to be receptive/accepting and not get defensive if a friend is trying to help you out (if they're doing it for the right reasons). Sometimes your friends don’t want your help, so you definitely have to find a balance. But aren’t you so thankful for the friends who have helped you along the way? Aren’t you thankful for the friends you have right now who you know would drop anything to help you? I certainly am, and I want to be the kind of friend I would like to have. There we go….finally! This one comes a little more naturally to me, as one of my Spiritual gifts is encouraging others. However, I think I need to do it more often. Sometimes we get so caught up in our own lives that we don’t realize when someone around us is in desperate need of encouragement. One of my favorite ways to “encourage” others is to share Scripture. What better way to lift somebody up then to remind them of God’s promises?? I think this is difficult for some of us because we tend to get caught up thinking “I would NEVER do that” …totally not true, and if you have that mindset, ya better watch out! (Satan capitalizes on complacency, pride, & naievety.) Your friends don’t need you to judge them. There are enough people in the world doing that. Just be a listening, supportive ear. The greatest commandment is to love God with all your heart, soul, and mind….and the second is to LOVE OTHERS as yourself. If we do everything in love, it’s hard to go wrong. So, are you being a TRUE, Godly friend?? Thanks for posting...YES, you do a terrific job at being a true friend to me! Thank you for that. Love you! thank you sweet girls! make sure you tune in for next Friday's post...it's going to be a REALLY good one about insecurity!